Many members of the Milwaukee Astronomical Society maintain their own websites or share their photos on Flickr, Astrobin, etc. A few are included here for a sample of how diverse the interests are of the members. These links are for Organizations Serving Amateur Astronomers, Special Interests, Popular Publications, and Weather for the Milwaukee area. The Space Science and Engineering Center in Madison, WI. provides the latest cloud cover pictures every 15 minutes. Water vapor and other meteorological pictures are available also. No introduction should be necessary. In particular, navigate to the page touting software for synchronizing your PC clock with the official time signal. hint - hint - Dimension 4 is free! No introduction should be necessary here, either. In addition to astronomy, the site also contains a historical section, calendar section, etc. Very interesting. A great site! Outspoken, opinionated, and right! Not a bad combination. Updated frequently. A great overall resource for every imaginable question on astronomy. Composed of over two hundred and forty local amateur astronomical societies from all across the United States. These organizations, along with our Members-at-Large, Patrons, and Supporting members form one of the largest amateur astronomical organizations in the world. The NCRAL is the local region for the Astronomical League. Night Sky Network is an educational effort sponsored by NASA to help educate the public through astronomy clubs across the United States. Established in 1911 is the major central clearinghouse of variable star data gathered by amateurs and professionals. The data is evaluated and made available to researchers. The Milwaukee Astronomical Society has long been associated with the AAVSO, that organization lending a 13 inch mirror in 1934 since we were so active in variable star observing. And we've hosted two AAVSO meetings. Provides predictions and updates of occultations of background objects (usually stars) by Solar System bodies). This includes Lunar Graze and Asteroid Occultation events. Established in 1911 by Charles P. Olivier allowing amateurs to make contributions to science through the observations of meteors. Established in 1947 by Walter H Haas,it is an international organization of amateur astronomers devoted to study the Sun, Moon, planets, asteroids, meteors, and comets. A very worthwhile group dedicated to eliminating light pollution, improving safety, and saving money all at the same time. An excellent resource for things astronomy in Wisconsin maintained by Jeff Setzer. On this site is a compilation of astronomy clubs, observatories, and planetariums. There are also listings of special events, star parties, and a general calendar of events. The mission at Love the Night Sky is to help backyard astronomers get more joy from there hobby through easy to follow and actionable articles and guides. 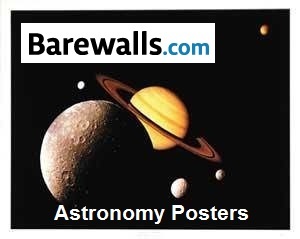 These links are for vendors who specialize in Astronomy Related Goods and Services. These links are provided as a service to our members without compensation to the Milwaukee Astronomical Society. The MAS is not responsible for the quality of the products and services.